It's almost that time of the year again, everyone!! And no - I don't mean it's almost pumpkin spice time (even though, well, IT IS!). And I also don't mean cooler temps, though I'm ready for those, too. Corn chowder is CALLING me, my friends. Simply calling out my name and I am here for it. But no, that's not what I mean, either. I mean it's almost fall, y'all. Which means another great batch of must-reads for you to add to your shelves. Or your Kindle. Or just your lists. Whatever works for you. Now, I will be honest with you, some of these came out over the summer (this month, specifically), but I've only just been introduced to them - so they can't be summer reads - right? As always, there are affiliate links throughout this post, because to share amazing books with you without sharing how you can get them would just be evil. And also, if you use my links you help me save my pennies towards my next book purchase. And how perfect is that? I have only just read my first Lisa Scottoline book in the last few months. Most Wanted was a phenomenal read. Scottoline's writing style kept me interested and focused, and guessing pretty much until the last minute. Actually - now that I think about it - the book was very similar to Jodi Picoult's writing style - which is a big compliment coming from a huge Picoult fan like myself. 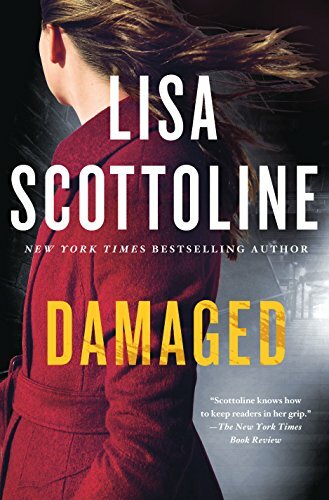 I know that Damaged is one book of a series, and though I haven't read any of the others, I'm hopeful it will stand on its own. And if you're concerned that it won't, I did see that you can purchase the entire series (four novels) for Kindle in a bundle purchase. A psychological thrilled. That's what Behind Closed Doors is being described as. The perfect couple when taken at face value. Jack is the perfect man. Grace can't believe she's found him. However, nobody ever sees Grace alone. Nobody ever talks to her on the phone. She can never meet for coffee. What's really happening in their house? Nobody ever knows exactly what goes on behind closed doors, right? Let's have a look and find out. The title alone has me wanting a copy of this book. I love books about books. Did you follow that? I love reading about book clubs (likely these days because I'm not exactly involved in one - but I always have!). And I now realize what it is about this cover that has caught my eye. It reminds me of another cover. It reminds me of The Things We Keep (which I own but have not yet read!). I love the simple elegance of the ribbon tied at the center. I've never read Foer's work before, but as this is his first novel in over a decade, that makes sense. While always an avid reader, I haven't always been open to new authors, often picking one and reading through their entire literary history. So, why this one, you might ask? Because it pulled me in with one sentence. "How can we claim our own identities when our lives are linked so closely to others?" Right? Sign me up to discuss. Also - a mention of being a Jew and an American, and the inner turmoil one sometimes feels living both of those roles has me relating a bit more than I can describe at the moment. I look forward to seeing what Foer has to say. Join me. 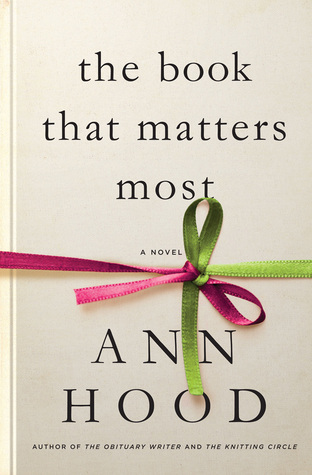 I'm an Ann Patchett fan. It's been a while since I've read something by her, but Bel Canto will always remain one of my favorite books of all time. Run isn't that far behind, either. So, the description of this story - covering intertwining families as they fall apart and characters that find their way sound perfect to me. And this cover is just the perfect fall cover - isn't it? Something just makes me think, I need to read this. 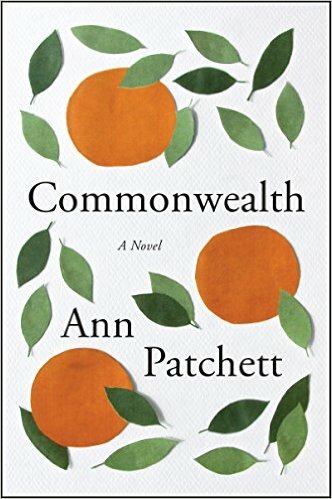 My fellow Patchett fans, I hope you'll let me know when you pick it up. Picoult is an author who is easily recognized by her writing style. I'm excited to see her next book (coming out in October) and I've included Shine because it's a short story/prequel to that novel. 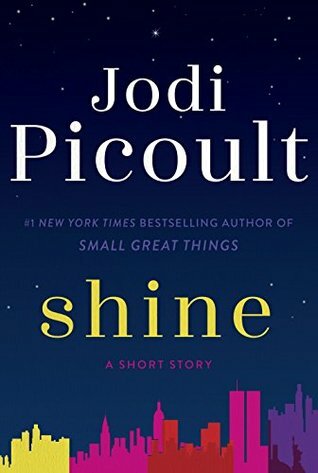 I figure if any of us want a teaser and to meet the characters we'll get to know better in Small Great Things, we should grab a copy of Shine. 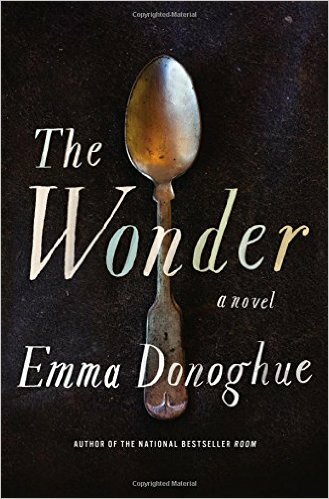 Fans of Room will be as excited as I am to see that Emma Donoghue has a new book coming out. Room was one of the most intense books I've ever read. It impacted me in such a way - when it ended I think I just sat there. Honestly, I think I read it in less than 24 hours, as I simply could not put it down. You'll find your friends either loved it or hated it, but there's not really a middle ground for that book. I'm so excited to see what The Wonder holds in store for us. I am embarrassed to admit I almost left this book off of my list. Why? Because I read it a few months ago, as the author granted me a copy of the ARC. And oh my goodness. I loved it so. 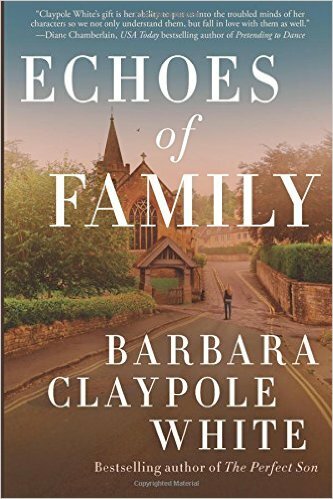 If you know my reading habits by now, you'll know that Barbara Claypole White is one of my favorite authors. I'm a huge fan. Every book she writes has pulled me in and held me close until I've finished. There's no cheating on her books with any other. I'm not sure if you're a one-book-at-a-time reader, but with Claypole White you will be. Echoes of Family is a fantastic read. One of the best things about her books is that BCW includes mental health in her storylines. And it is always front and center. This novel is no exception. Our primary character Marianne is dealing with life as her mind unravels. She tries to escape it - sort of - only to bring it all with her. Her family, supporting characters, are understanding, and equally as intense. I'm hoping for a sequel for this one - and in some ways - I'm not - because I think it wrapped up exactly as it was supposed to. 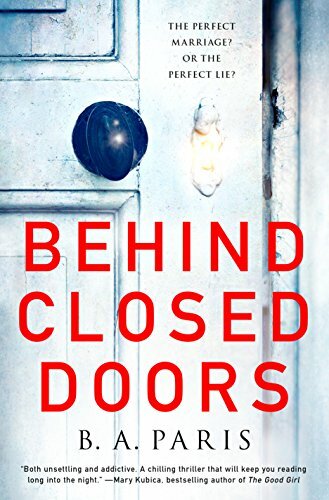 I'll be sharing a review of this book in the coming weeks, but I strongly suggest you pre-order now so it's on your doorstep or Kindle as soon as it's available. Trust me. And if you haven't yet read The Perfect Son, well, what are you waiting for? Go get that one, too. Now. Friendship. Betrayal. Love. Loss. Grief. Starting over. 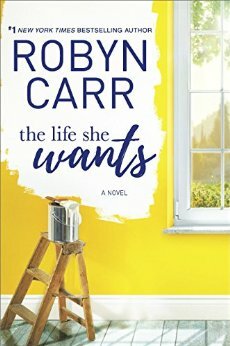 It sounds like Carr's latest novel is going to give us a little bit of everything. Honestly? I think I added this to my list because I really like the cover. And yes, I sometimes DO judge books by their covers. Admit it. You do, too. The Life She Wants looks like an enjoyable read. I like watching female characters find their way, and it looks like Emma has a lot of that ahead of her. 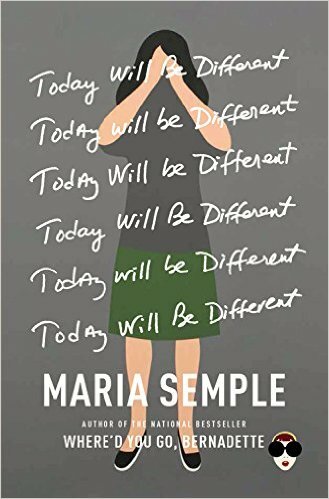 Maria Semple wrote a book that many of us absolutely adored. If you haven't read Where'd You Go, Bernadette, you need to grab a copy. It's truly the kind of story that you've never read before. So, needless to say, I'm pretty excited to see that Semple has a new book coming out. Family secrets. A woman looking to turn her world on its edge? Eleanor sounds like my kind of character. Let's discuss after we both read it, shall we? Catherine McKenzie has been one of my favorite authors for some time. I can say that whenever she has a book coming out I'm all over it. 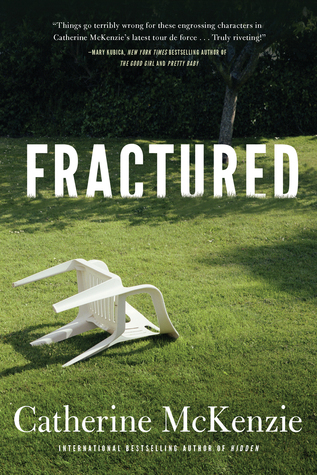 That's why Fractured makes my list for this fall. Because I know McKenzie will give us good reading. The story itself seems to be one of mystery and intense. The main character is an author who is being stalked. Hopefully this isn't remotely true-to-life for McKenzie ... but I know it will hold our interest just the same. Shine is the prequel to this novel (scroll back up for some info!). 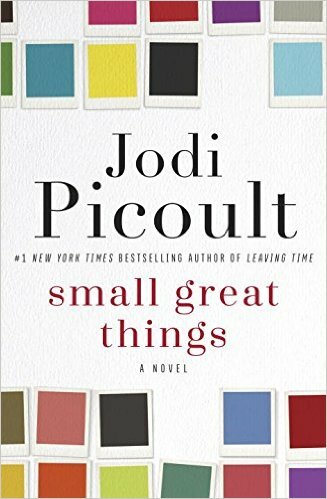 Small Great Things, as most Picoult novels do, touches on a heavy topic. An intense topic. Relates a little too closely to current events for comfort. And yet, pulls you in in a heartbeat. And - perhaps in this story - a literal one. Ruth is a nurse in a Connecticut hospital. She's African American. She's working on her patients and the parents of one of the newborns in her care do not want her touching their baby. They're white supremacists. Only Picoult could create such a story and run with it. I look forward to seeing where she takes us. 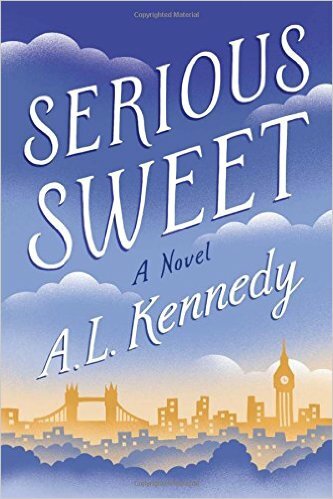 It's likely that the main reason I'm drawn to this novel is because the main characters are a 59-year-old male and a 45-year-old female. The fact that the story takes place over the course of twenty-four hours also caught my eye. I love adventures like that. Described as a story about "two decent, damaged people," Serious Sweet sounds like the perfect book to pick up and never put down. A complicated friendship of two girls who both dream of being dancers. Only one has the talent to be. 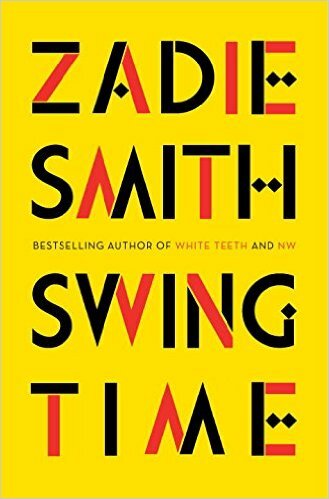 Set in North-West London and West Africa, I'm mostly excited because I love when a story takes me outside of the United States - it's vicarious living for a bit - isn't that what we read for, after all? Described as "exuberant dance to the music of time," this book has already won me over. Looking forward to picking it up this fall. So, there you have it. 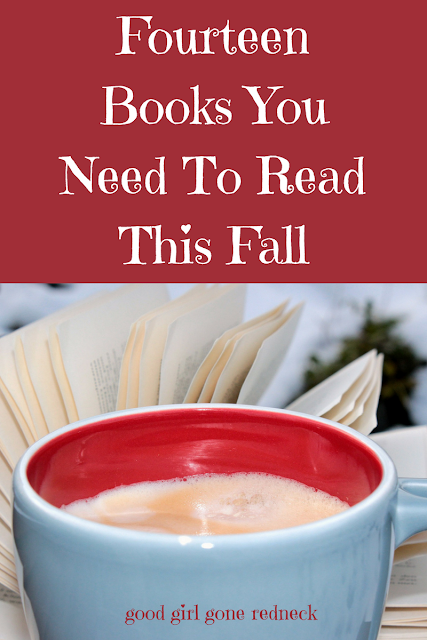 Fourteen books you should look into this fall. And if these aren't enough - or aren't your cup of tea - or coffee - because come on, let's get real, shall we? - here are several lists that will help you load your Kindle until the end of time. Because I got you, boo. What a fabulous list! Ann Hood's and Lisa Scottoline's are my faves. There are a couple here I need to pick up. So not ready for fall. .. These all look great. I still want to see the movie Room. I haven't read any of these! 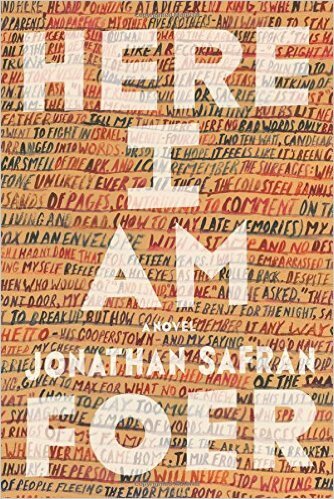 The Jonathan Safran Foer is already on my wish list at someone's recommendation. Thx for a great list! I have read several on this list, all fantastic books. Thanks for sharing this list with us ! !